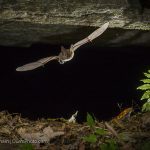 Researchers and conservationists found and saved the land where a colony of endangered Virginia big-eared bats roost. Kentucky’s Harlan County, perhaps best known for its mining history, is also home to a wonderful old-growth forest preserve with several hiking trails. 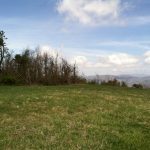 This spring, two land trust groups purchased a total of 190 acres of unprotected land in North Carolina’s Buncombe, Henderson and Caldwell counties. 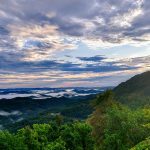 The Kentucky Natural Lands Trust preserved an additional 2,050 acres on Pine Mountain, extending a project to protect a corridor of land across the 125-mile-long mountain. In December, Congress made permanent an increased tax break for landowners wanting to protect their property for future generations by placing it under a conservation easement. An ecologist aims to help identify and preserve tracts of land that are most likely to help species survive in a changing climate.